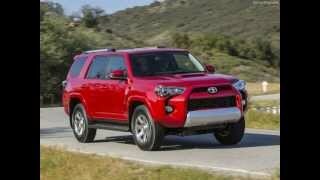 This entry was posted in Crossover and tagged 2014, Compact, Compass, Crossover, Drive, Jeep, Limited, Review, Test, Video, YouTube on December 31, 2013 by Sam. This entry was posted in Midsize and tagged 2014, 4Runner, Festival, Music, Revealed, Stagecoach, Toyota on December 31, 2013 by Sam. This entry was posted in Midsize and tagged 2014, 4Runner, Toyota on December 31, 2013 by Sam. This entry was posted in Midsize and tagged Auto, Grace, Macaluso&#39s, Talk on December 31, 2013 by Sam. This entry was posted in Compact and tagged 2014, Debut, Lexus, Roadster, Rumored, SUV, ThreeRow on December 31, 2013 by Sam. This entry was posted in Luxury and tagged ..., Fortuner, Hyundai, India, launching, Santa, SUV, Toyota, Watch on December 31, 2013 by Sam. This entry was posted in Midsize and tagged 2014, 3Series, Drive, First, Gran, Turismo on December 31, 2013 by Sam. This entry was posted in Compact and tagged 2014, Compact, Exterior, Interior, Mercedes, Officially, Photos, Revealed on December 31, 2013 by Sam. This entry was posted in Compact and tagged 2014, Alpha, Auto, Expo, highlight, Likely, Maruti, Suzuki on December 30, 2013 by Sam.